This is an entry in our Read More series. These are ‘long-form’ articles, where staff offer a curated and detailed look at areas of our book collections, usually based around a specific theme or subject. These posts aim to guide the interested reader through to those books that offer a more in-depth look at a topic, or which are classics in their field. Next Monday and Friday, as part of the 29th International Leeds Film Festival, some of our rarest stock items will be making their way out of our stacks on a perilous expedition to the Clothworkers Centenary Concert Hall at the University of Leeds. There, this curated browsing collection, will form the backdrop to an interdisciplinary series of films, exhibitions and talks exploring ‘Arctic Encounters‘, a suitably fitting theme for this time of year. This is a fantastic opportunity to see some of our lesser-spotted books in the wild! Today’s blog aims to give you a taster of the books we are exhibiting there and some ideas for further reading. 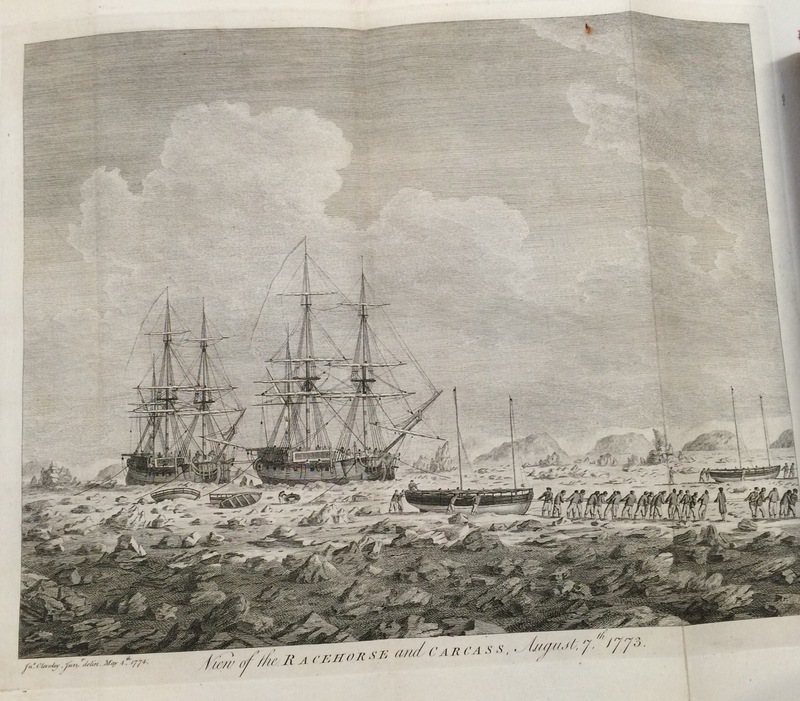 The earliest book in our collection (1773), this is an account of an expedition toward the North Pole under the command of Constantine John Phipps. As well as maps tracing the route taken by the two ships in the squadron – Racehorse and Carcass -, the book also includes eyewitness drawings of the landscape on particular dates and an appendix containing astronomical and zoological observations by Israel Lyons and Dr Irving respectively. Interestingly, a young Horatio Nelson was a midshipman on the Carcass and reputedly had a close encounter with a polar bear while the vessel was stuck in ice. Phipps described the bear in his log book on the 12th of May, 1773 – the first European to do so. Originally intended as a survey of North American zoology, Pennant altered the focus and title of this book in mortification after the loss of the thirteen colonies during the American War of Independence. There are two volumes: the first covers quadrupeds; the second, birds. Both feature extensive descriptions and illustrations by Peter Brown. Published between 1785 and 1787, the set is perhaps most notable now for the fact that Pennant did not himself journey from his home in Wales, instead relying on the work of others, such as the voyage of Sir Joseph Banks to Newfoundland in 1786. Nevertheless, the volumes were well-received –leading to Pennant’s election as a member of the American Philosophical Society. Scoresby was one of the most prominent Arctic explorers and scientists of the early 19th-century. Born near Whitby, he initially joined his father on whaling voyages in the remote North before turning his attentions to the meteorology and natural history of the polar region. His 1813 voyage saw him establish for the first time the fact that polar ocean has a warmer temperature at depth than on the surface. The library holds several fascinating texts relating to Scoresby and his Arctic encounters, including a facsimile of the log book he kept during his 1806 voyage with his father, Captain William Scoresby. 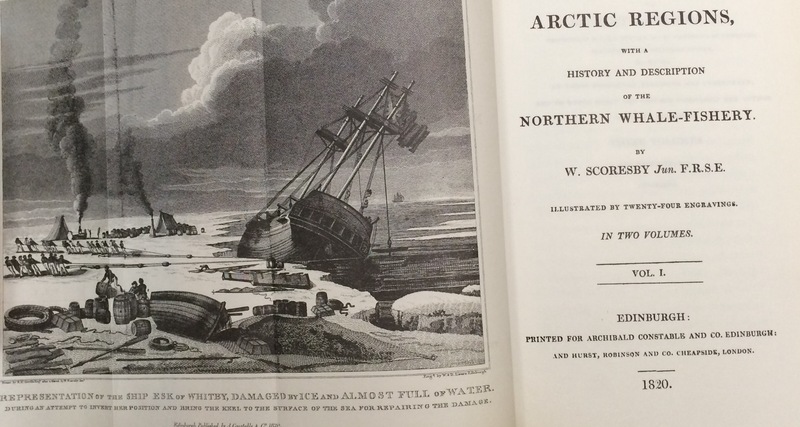 Other volumes include his first-hand Account of the Arctic Regions: With a History and Description of the Northern Whale Fishery (1820) and two scientific papers contained in The Polar Ice and North Pole (published between 1815 and 1825). One of the most extraordinary individuals of modern times – scientist, diplomat, humanitarian, recipient of the Nobel Peace Prize, champion skier and ice skater – Fridtjof Nansen also led the team that made the first crossing of the Greenland interior in 1888. 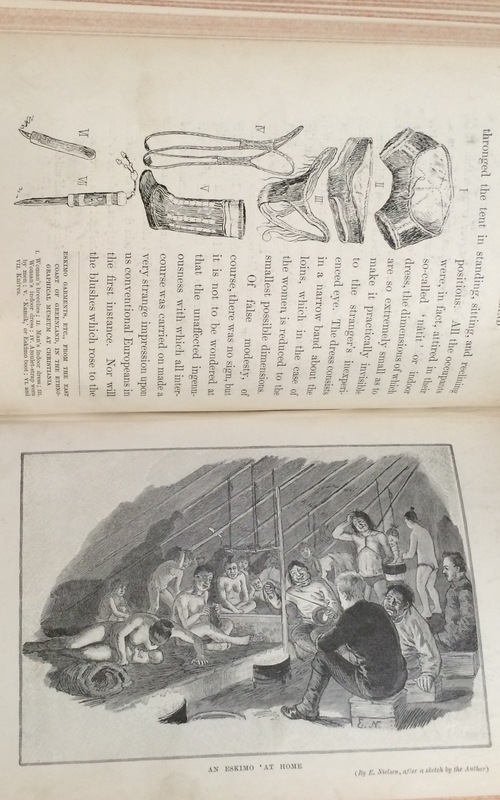 This book, published in 1890, is Nansen’s account of that astonishing expedition and contains a narrative description – including an encampment with an Eskimo community at Cape Bille – and contemporary illustrations of the landscapes, wildlife and people encountered during the crew’s journey. Nansen later won international fame for reaching a record northern latitude of 86◦14’ during his North Pole expedition of 1893-1896. His account of that later exploration can be read in his Farthest North – a copy of which is also available to view in the Central Library. This is just a short sample of the many books we hold on the Arctic and accounts of its history, ethnography, zoology and geography. 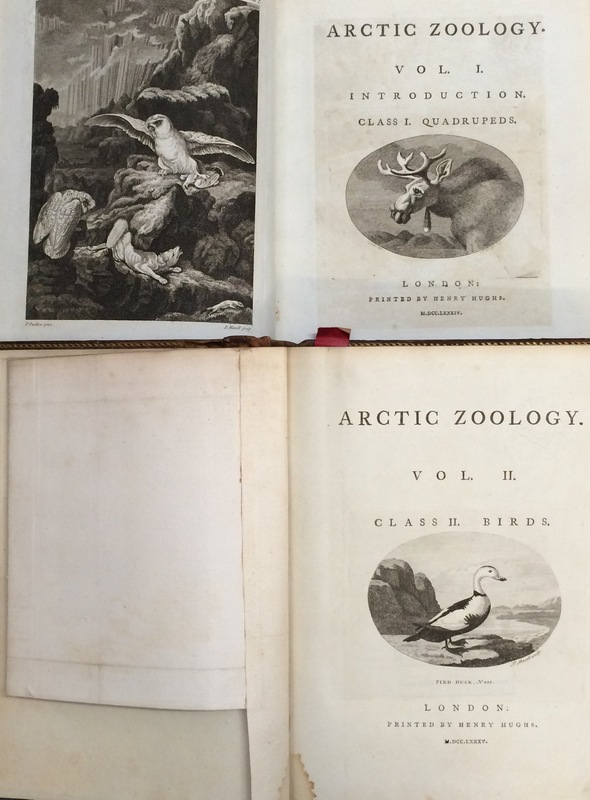 The majority of our collections, however, are eyewitness reports of expeditions and journeys across the “Great Ice”. Click here to see a comprehensive guide to those other books. Please note that the guide is not a complete record of our holdings; anyone interested in this topic is advised to browse our catalogue for further resources. Previous Post A Night of Fright!